Members of the ISIL terrorist group have reportedly started to evacuate their families from the city of Raqqah after the start of Russia’s military operation in Syria, the Arabic television channel Al-Mayadin revealed. According to media reports, terrorists evacuate their families to Iraq, fearing the renewed start of Russia’s airstrikes. 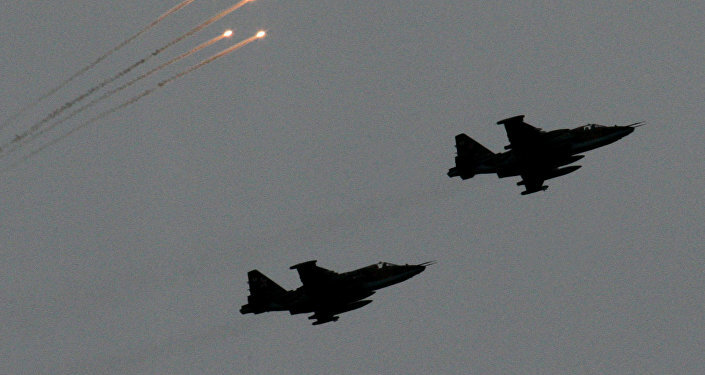 During the first two days of the military operation, Russian aircraft reportedly hit over 10 targets, among them an explosives factory, an arms depot and an ISIL coordination center. A representative of the Russian Defense Ministry confirmed that a secured command post, an underground bunker as well as an explosives and ammunition warehouse have been destroyed as a result of a surgical airstrike near the city of Raqqa. Russia started its military operation in Syria on September 30, after receiving an official request from the president of the country Bashar al-Assad. The operation is designed to eliminate the ISIL terrorist group, which occupied large territories of Syria and is responsible for numerous kidnappings, executions as well as the destruction of buildings and historical monuments.